RAC Foundation - Pay as you go on the roads? As part of the change, some form of ‘pay as you go’ scheme seems inevitable. These are amongst the conclusions of ‘Governing and Paying for England’s Roads’, a report published today by the RAC Foundation and written by its director Professor Stephen Glaister. 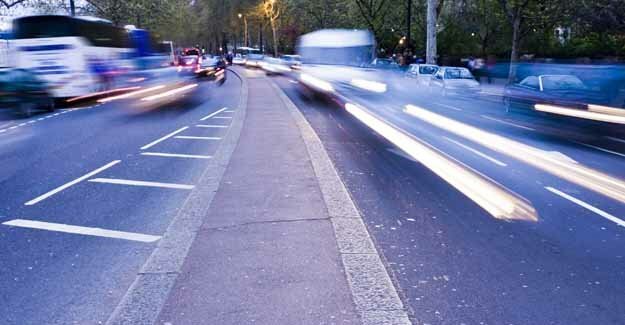 The launch of the report coincides with a survey by Ipsos MORI which reveals almost half (46%) of the British population support a charging system on the motorways and major roads which also contains measures including the abolition of road tax and a cut in fuel duty. He believes one long term answer is to make the running of the road network more arm’s length from government and to introduce a ‘pay as you go’ system. Such a scheme would help change driver behaviour and deliver benefits such as an easing of congestion, reduced environmental damage and better, more reliable journeys. The Ipsos MORI survey showed 58% of drivers agreed that a ‘pay as you go’ system across all roads would make them think about how much they drive. Professor Glaister continued: “Some form of ‘pay as you go’ system is inevitable because of the benefits it will deliver for motorists and the country, and the lack of a credible alternative. The Ipsos MORI poll shows that most people are instinctively opposed to road user charging when they think it is an extra tax. But when the details are explained and they realise the benefits then the opposition falls away dramatically. “It is also telling that less than 1% of those opposed to ‘pay as you go’ see invasion of privacy as a major reason for objection. “Motorists are resentful of the relentless rise in the cost of fuel, and feel short-changed by the amount spent on the road network. But these proposals address such issues. People are very familiar with the principle of ‘pay as you go’. For example we are already charged for gas and electricity on the basis of how much we use. 2. Professor Stephen Glaister has been director of the RAC Foundation since October 2008. He is also Emeritus Professor of Transport and Infrastructure at Imperial College London. Previously Stephen was a board member of Transport for London and has worked for the Rail Regulator. He has advised government on numerous occasions. 3. A copy of Governing and Paying for England’s Roads is available on request and will be on the Foundation’s website – www.racfoundation.org – after its launch. 4. An Ipsos MORI survey of 1,005 British adults, commissioned by the RAC Foundation, was carried out by telephone over the weekend of 26th/27th June 2010. Data are weighted to match the profile of the population by age, gender, work status, social grade, region and car in household. 6. 45% of drivers do less than 5,000 miles per year.